As you all know that I had moved to Pune for now.I am writing about my first impressions. 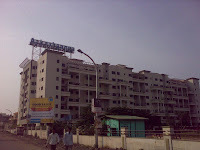 I am living in a locality called Pimple Saudagar and working out of Hinjewadi phase two. 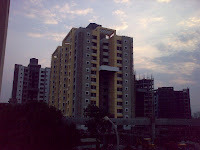 The distance between the places is around 10kms and the established nearest neighbourhood is called Aundh and Baner. Pimple Saudagar exactly looks like 90s madipakkam or velachery. No great roads, street lights and construction everywhere. But Aundh and Baner has got nice facilities thanks to Balewadi stadium which came couple of years ago. Pune railway station, Pune Camp, Kalyani Nagar are located some 25Kms away from my place and i am yet to explore them. For me, it looks like Pune is definitely behind Chennai or Bangalore infrastructure as of now. But lot of construction, road building which is happening now might make the place more comfortable over a period of time. Traffic - No driving sense at all and people drive at all the places. No right or wrong side as of now. Autos are costly but Tata Aces, Marutis and shared Autos are cheaper than individual autos. Signals are relatively less and traffic moves comfortably as the roads are reasonable broad. Lot of sign boards help you to move around freely. Will post more info as i keep exploring. so enjoy some photos as of now.